VOTING is now under way in the 2018 Derwent Valley Council election. The election is once again being conducted by postal voting and the ballot packs have been distributed this week. If your ballot pack does not arrive in today's post, contact the Tasmanian Electoral Commission or the Derwent Valley Council. All positions around the council table are being contested, with eight councillors to be elected, including a mayor and deputy mayor. The successful candidates for mayor and deputy must also be elected as a councillor in order to take up the leadership role. The following candidate statements are reprinted from the official booklet issued by the Tasmanian Electoral Commission with the ballot papers. Candidate Matt Hill was not included in the booklet but has provided his statement and photo for inclusion here. Votes must be submitted by 10am on October 30 in order to be included in the counting. Full details about the council election process can be found here. The offer remains open for candidates to submit campaign statements or media releases for publication on the New Norfolk News by emailing newnorfolknews@gmail.com. Born and raised in the Valley, I have been a strong voice for fairness for all ratepayers and if returned will continue to be your 24/7 Councillor/Mayor. Already approachable, as Mayor I would hold regular surgeries so the public can easily access me and senior managers. To grow we should encourage the building of more homes which will support more businesses (perhaps another supermarket). I will continue to work for hard waste pickups. Let’s have a united Council with a strong leader working for the benefit of the ratepayers, not self-interest. I seek your support to be that leader. If elected Councillor/Mayor I will make the following commitments. Cost of living:Council must help contain the ever increasing cost of living for residents and businesses. I will never support a rate increase that is greater than CPI, I will also propose a Council policy to cap all future rates at no greater than CPI. Roads: Council needs to focus on improving our roads and streets, I will only support an annual budget provided there is an allocation of at least $250K to improve/seal roads in the rural residential areas of Lachlan, Molesworth, Magra, Black Hills, Glenfern and Granton. Vote 1 Jessica Cosgrove for change, credibility and commitment. I have lived in the Derwent Valley my entire life, work in the Derwent Valley and am the operator of the New Norfolk Market. I have over a decade of professional experience in both private and public sectors; including local and state government departments.Focusing on Council basics is on my agenda and I will push to create growth economically and socially. I will listen to your needs. Ultimately, I love our Valley and our people. With passion I will work hard for you. To be able to continue to serve and advocate for the Derwent Valley and its residents for the next term of Council is what I am seeking your support to continue my networking skills to enable business and services to flourish in the Derwent Valley. Which in turn would create more employment opportunities for people and create a more livable community for all. My passion for health and education is what drives me and will assist our community becoming the best place to work live and invest. I believe that I am the person to take this forward. I’m re-imagining what our Valley could be. Five key trends affect what we are aiming for & what we may benefit from the results. Being able to influence others is the key. I’m focusing on: the rise of the individual asking questions; resource stress related to services & infrastructure shaping daily life; waste embracing the idea where materials are kept in circulation through reuse, recycling, renewables, low cost utility services; climate change & building capacity/resilience to identity threats, mitigate & respond; no future borrowing without proper scrutiny. My name is Kristy Hall, one of my finest virtues is that I am passionate about our Valley, I am an independent, strong person and am prepared to listen to what members of our community want. If you live in the Derwent Valley Council electorate I would like to know what your concerns or issues are? I will endeavor to take action within Council capabilities if elected and will not be afraid to speak up for my electors. I’m a born and bred DV girl, I’m 50 years old, married with 2 grown sons and 2 grandchildren. I am retired and would like to devote time to improving life in the Derwent Valley. I have lived in the Derwent Valley all my life and I am passionate and proud of where I live. An active volunteer in our community, I have a strong understanding of Local Government. I will: Work for accurate and frequent communication and consultation with residents; Seek to supply value for money services by working with community organisations; Advocate for greater access to medical services; Use local businesses and access to greater employment and training opportunities; Address community safety and equal access; Support provision of activities and programs for young people and children. I have been on the Council since October 1999, during this time I have contributed to the maintenance and upgrading of the Esplanade, Tynwald Park and walking tracks. Willow Court upgrading, improving the site and endeavouring to get a suitable presence in all Council owned buildings to prevent vandalism and destruction. Also Council’s involvement regarding the bike track at Maydena which hopefully will see the old school building transferred to the ownership of these people. Maydena’s properties have substantially increased in value due to this development. I am an independent candidate and have lived in the Derwent Valley for the past 20 years. We are blessed to live in one of the most beautiful places in the world, unfortunately our towns and villages are looking neglected. A vote for me will ensure a Council focused on the basic business of a Council that of looking after the roads, rubbish and rates. We must develop a culture of openness, transparency and better communication with all of our community. My one goal is to work for the community to bring about a better future for all of us.Vote 1 Chris Lester for Mayor and Councillor. opportunities and jobs for our young people to stay and build a sustainable future. The Council has come a long way in the last 4 years since I was elected but there is still lots to do. With 10 years experience as a Council General Manager I am an expert in strategic planning, financial and asset management and corporate governance. I know how the Council should work to achieve the best possible community outcome. When reelected I will use my skills and experience to support implementation of the new 2030 strategic plan; more improvements in financial and asset management, governance, consultation and communication; and more efficient and effective Council service delivery. I have the passion and drive to energise the Derwent Valley. I make the impossible possible. I’ll tap into the strong tourism, employment and training potential of our beautiful region. I get things done, get things moving and get things funded. I think outside the square to find solutions. My track record shows I achieve outcomes through lobbying and my approach to reaching goals is vastly different to most. I create and drive change — it’s time for change in the Derwent Valley. A vote for me as Councillor and Deputy Mayor will bring change a strong voice and future focus with rapid results. I care about the community I live in, and have always felt inspired to make a contribution to this beautiful Valley. I have a particular interest in making sure that our public facilities meet the needs of our seniors and people living with disability, and that our youth have opportunities to reach their full potential. As manager of an award winning NGO, and other senior roles during my career in the disability sector; as a former tourism business operator, and teacher in vocational education and training I have a range of skills and knowledge that apply to the role of Councillor. Please consider me as our next Mayor. My passion, professionalism and drive will hold me in good stead to lead our community into a better future. I will promise to always act on behalf of the best interest of the community with a sensible, professional approach to all decision making. With my business background I am the one who has the experience to take us forward into a brighter future. My focus will be on a sensible growth strategy that also includes getting our infrastructure back on track while driving residential and business growth for the region and a strong focus on our tourism. I am standing for Deputy Mayor and Councillor. As a past Councillor, local business owner, and a resident for 21 years. The Derwent Valley deserves a lot better all-round community services. I am committed to reviewing the exorbitant rates and charges increases from this year’s Budget. I am committed to ensuring Council gets back to basics by getting the Capital Works Program back on track. I am committed to an open Council and stronger communication with residents. The Derwent Valley is one of the most beautiful places in the country, but has been neglected by the current Council. 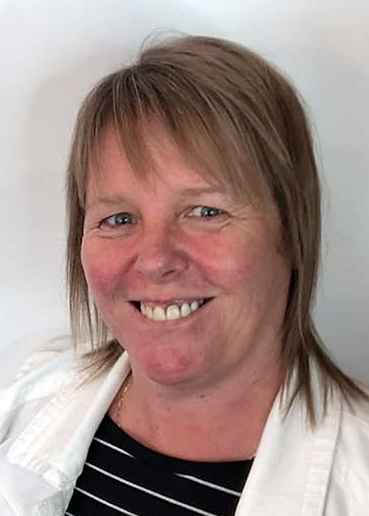 Hello I’m Julie Triffett, and I would love to be the Mayor of the beautiful Derwent Valley, and to represent the people of the municipality. Being on Council for the past four years, I feel I have the skills, attributes, experience and knowledge to be a strong leader. I will work hard to engage with people, and endeavour to make the Derwent Valley an even better place to live. I feel that the Derwent Valley is an exciting place to be at the moment, and I will strive to keep the momentum going. I would appreciate your number 1 vote for Councillor and Mayor. Thank you for your time. New voice, new vision. I moved to the Valley in 2010 to bring up my family and bring with me a broader perspective to the role of Councillor and Deputy Mayor. I am outspoken and passionate about social issues that affect the community. More than just rates, roads and rubbish. I am confident, enthusiastic, and progressive. I will listen and be a voice of reason. A public servant for 22 years with a degree in Business, I come from a working-class family and retains those values, believing social justice and fairness for all, valuing close knit communities who care about each other.